BUFFALO, N.Y. -- International Ice Hockey Federation tournament disciplinarian Dan Marouelli has determined the automatic one-game suspensions given to Canada forward Zack Kassian and Slovakian defensemen Peter Hrasko and Martin Marincin for their actions in Tuesday's games was not enough. Kassian was suspended an extra game for his actions in Canada's game against the Czech Republic, while Hrasko was banned an additional two games and Marincin three for their hits in Slovakia's game against the U.S.
Kassian was ejected from his team's 7-2 victory against the Czech Republic at the 5:53 mark of the second for an illegal shoulder to the chin of defenseman Petr Senkerik. Senkerik was left motionless on the ice for several minutes and had to be removed on a stretcher. Kassian was assessed a match penalty by the on-ice officials, which calls for an automatic one-game suspension. "I was backchecking hard and it happened really fast," Kassian told reporters Tuesday night. "He seemed to dump the puck in and I was just finishing my check. Everything happened so fast. I was brought here to be physical and I wanted to stay physical and stay disciplined. I thought I'd been doing that so far … my hands were down. I just hope he's all right; I'm hearing he's OK, so that's a good feeling. We now just have to move forward." Games in Buffalo and Niagara, N.Y.
Dec. 30 7:00 PM Germany vs. U.S.
After reviewing the play, Marouelli added an extra game to Kassian's suspension, meaning the Buffalo Sabres prospect will miss the final two games of the preliminary round -- Wednesday's game against Norway (7:30 p.m. 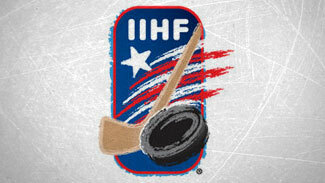 ET, NHLN-US, TSN) and Friday's game against Sweden (4 p.m. ET, NHLN-US, TSN), which likely will be for first place in Group B and a bye into the semifinals. Senkerik, who was conscious as he was leaving the ice, underwent some tests before returning to his hotel late Tuesday night. He didn't accompany the team to Wednesday's practice at Dwyer Arena on the campus of Niagara University. Instead, he remained back at the hotel to get some rest. "I did see him this morning at the hotel, but he didn't come to Niagara with us for practice … he had a pretty severe headache," Czech Republic assistant coach Jiri Fischer told NHL.com. "Based on what happened, he didn't make the trip. He's at the hotel." Fischer said the mood at Wednesday's practice was what you would expect following an incident such as the one that transpired Tuesday. "We were at practice and we'll get ready for the next game (against Sweden on Thursday)," Fischer said. Hrasko will miss time following his hit on Team USA's Jerry D'Amigo in the first period of Tuesday's game. Marouelli ruled the Slovakian defender deliberately targeted the head of D'Amigo, using his elbow and upper arm to deliver the blow while causing D'Amigo to be thrown into the boards and hit his head against the glass. Hrasko was given a match penalty, and with the extra two games tacked on, he'll miss Slovakia's final two preliminary round games -- Thursday against Switzerland and Friday against Finland, as well as the first game of either medal-round play or the relegation round. Slovakia currently is fourth in Group A with two points, one behind Switzerland; the top three teams from each group advance to the medal round. "I can only play my game and it's bad enough there are hits out there that are questionable, but hits like that are just wrong," D'Amigo told reporters Tuesday night. Marincin's hit came midway through the third period, when he delivered a hit to the head of U.S. forward Jason Zucker. Marincin, a 2010 second-round pick of the Edmonton Oilers, was given a match penalty, and Marouelli added three games to the automatic one-game suspension. In his ruling, Marouelli considered the distance travelled by Marincin to deliver the hit. In his opinion, it was a premeditated act as the puck wasn't near Zucker. Marouelli felt Marincin took advantage of a defenseless, unsuspecting opponent and deliberately targeted the head and neck area, resulting in an injury. Zucker was left lying on the ice for several minutes and appeared groggy as he was helped off the ice. He did not return to the game, and his status for Thursday's game against Germany is unknown.